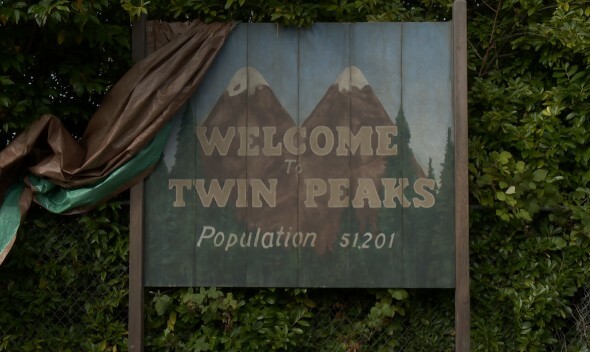 Showtime had been planning to premiere its limited series revival of ABC‘s Twin Peaks in 2016. Now CBS Corporation big boss Les Moonves is aiming for a 2017 premiere, instead. Moonves announced the delay during his November 3, 2015 third-quarter earnings conference call. Reportedly, a Showtime source later tried to walk that back. The new production is hush-hush. While Kyle McLachlan is confirmed to return for the sequel, other actors are only rumored to be involved, having been sighted on location shoots and the like. We recently reported a Jennifer Jason Leigh sighting. According to Deadline, you might add Robert Knepper, Balthazar Getty, and Amanda Seyfried to that list. Continue on for more details about the Twin Peaks delay. [Moonves] touted [Twin Peaks] as a property that will likely drive subscriptions of Showtime’s newly launched standalone broadband offering. The 2016 premiere date would have marked 25 years since the end of the original ABC series. A Showtime rep said a late 2016 premiere date is still a possibility. What do you think? Are you frustrated by this proposed Twin Peaks revival delay, or are you just happy the show is coming back? Do you plan to watch?